Saint Joseph, in colorful and durable PVC, houses a 16GB flash drive and comes with a handy clip so you can bring this saint with you wherever you go. In spite of the enormous role that Saint Joseph played in the life of Our Lord, very little is said of him. He was a simple carpenter who was entrusted with the care of the Mother of God and her Son, the Messiah. He was engaged to Mary when he found out that she was with child. Choosing to handle this tricky situation in the most merciful way possible, Joseph planned to divorce Mary quietly. God sent an angel to explain that the child was the Son of God and that St. Joseph had been chosen to be his foster father. Saint Joseph, with grace and wisdom, quietly and protectively steered the Holy Family through the birth in Bethlehem, the flight into Egypt and throughout the childhood of Jesus. Tradition has it that Saint Joseph died in the comforting presence of the Blessed Mother and Our Lord before Jesus began his public ministry, making him the patron saint of the dying. Saint Joseph is also the patron of the universal Church. 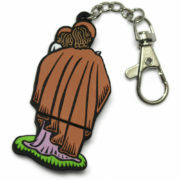 He has two feast days: March 19th and May 1st as Joseph the Worker. 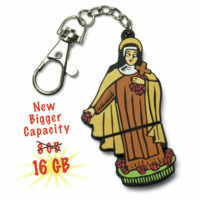 Saint Therese, in colorful and durable PVC, houses a 16GB flash drive and comes with a handy clip so you can bring this saint with you wherever you go. 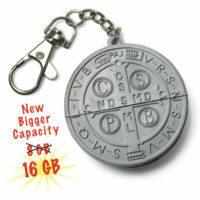 This Saint Benedict medal, in durable PVC, houses a 16GB flash drive and comes with a handy clip so you can bring this saint with you wherever you go. Our Lady of Fatima, in colorful and durable PVC, houses a 16GB flash drive and comes with a handy clip so you can bring this the Blessed Mother with you wherever you go. 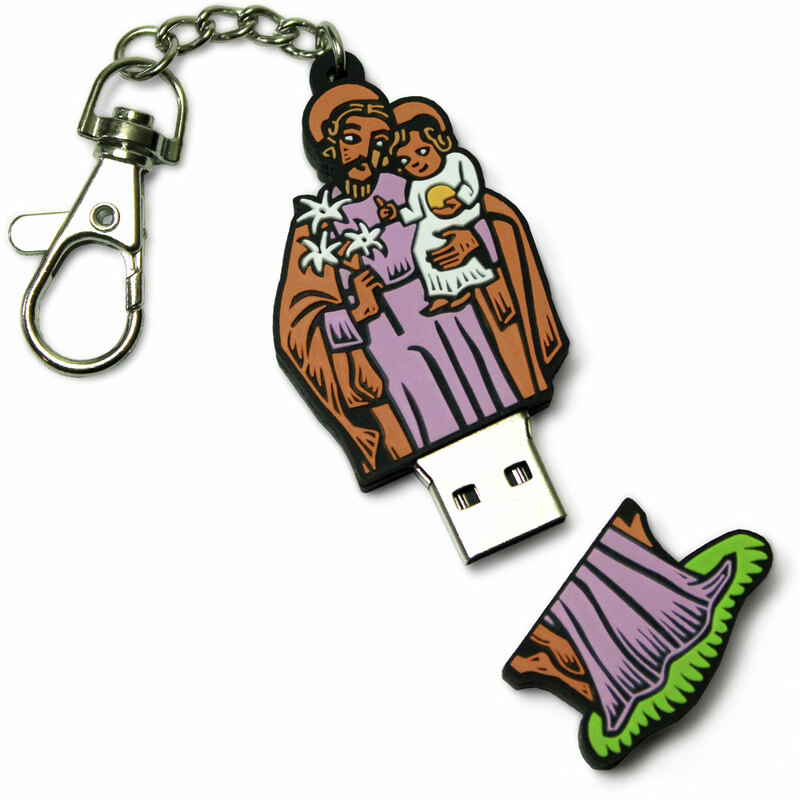 The Sacred Heart of Jesus, in colorful and durable PVC, houses a 16GB flash drive and comes with a handy clip so you can bring Our Lord with you wherever you go.